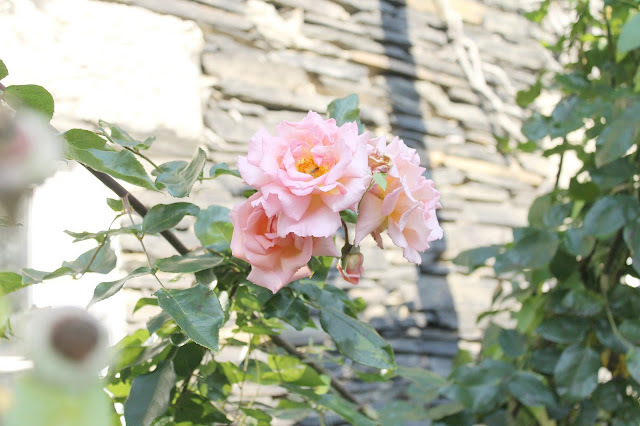 afternoons, the roses going strong still and the leaves lush and green. When visiting a place I love how it is the little things about it that you tend to remember, the pie shops and quirky street names. 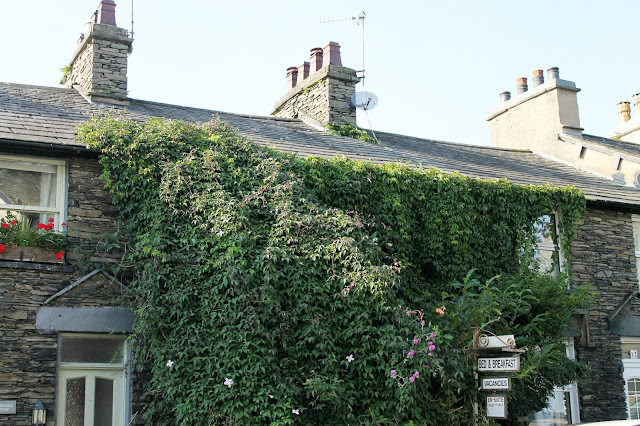 Windermere is one of my favourite spots, a walking distance from Bowness, the pier and the lake itself and is built entirely out of little Victorian slate houses that are sheathed in Virginia Creeper. 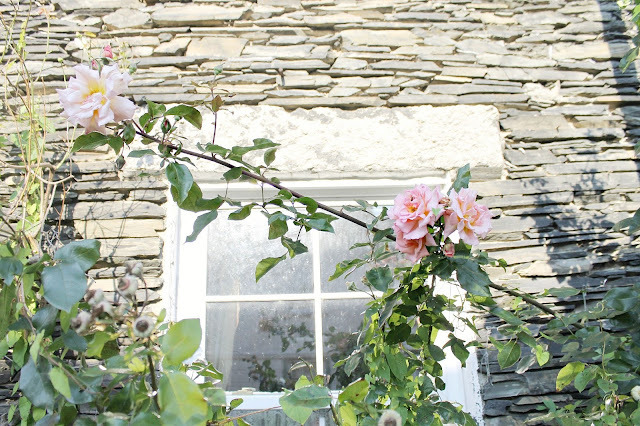 I have a thing for roses and slate houses. 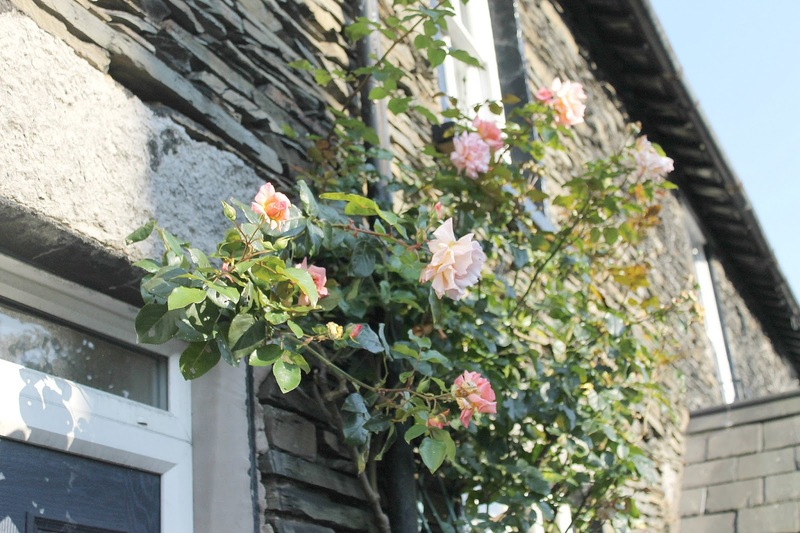 I snapped these beauties just outside of fittingly named Rose Cottage in Windermere and the town looks like it could be the setting for a fairytale with the winding, hilly roads, pretty cottages and guesthouses, and the old fashioned shops and stores from another era. When visiting I would definitely recommend strolling down to Bowness, a mile or so walk, or taking one of the open top buses down to the pier. There are so many cute diners and eateries and the aroma of hot, freshly vinegared fish and chips is everywhere. Pay a visit to the World of Beatrix Potter attraction at Crag Brow and the little shop afterwards totally not just for children. I found a Puddleduck cottage! I spotted this briefly another time but wanted to go back so I could snap a picture. 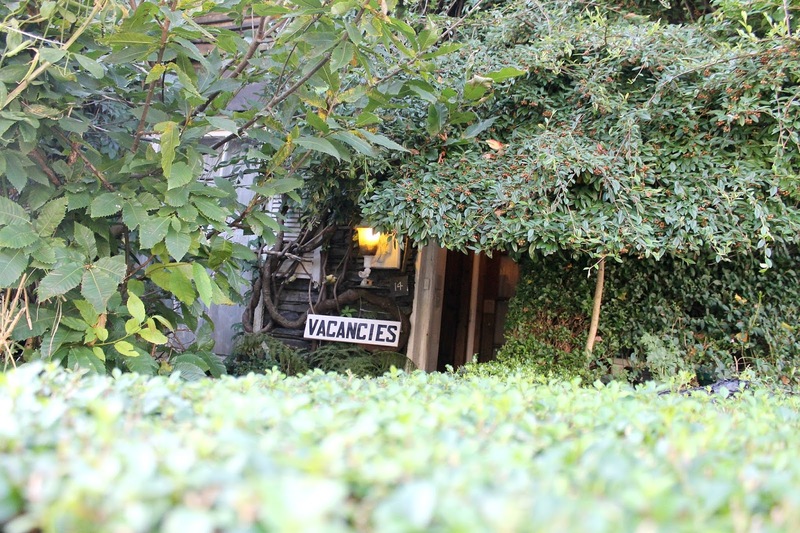 I believe it's not a home but a guesthouse, complete with a 'Vacancies' sign out front. I have noticed that my pictures are rather devoid of people, avoiding the heavy streams of tourists and waiters clad in their uniforms. Perhaps I see them as some kind of anomaly in my old fashioned world. I think the cottage next door is my favourite. Underneath the sprawling undergrowth and Elizabeth Clematis flowers hides a little house, like a hobbit hole or a hideaway for dwarves. That is something I have always wished my blog to be, a secret, magical place tucked away, always open for visitors! A little lamp is present to guide the way to the entrance, all part of the fairytale experience! 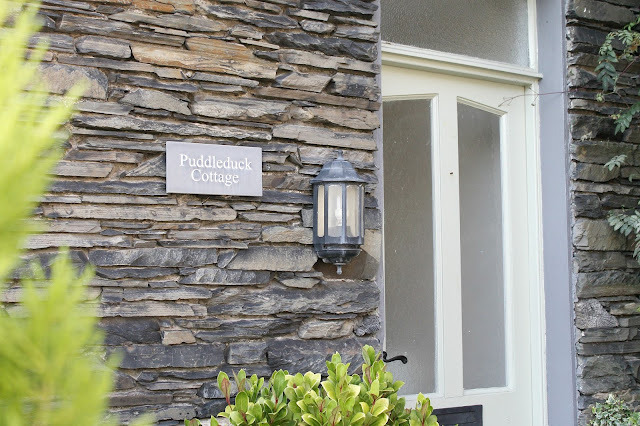 I have never stayed in one of these before but am totally open to arranging a staycation in the lakes, even though I live 20 mins away by train. Nothing at all to do with the cosy dinners and hearty breakfasts. 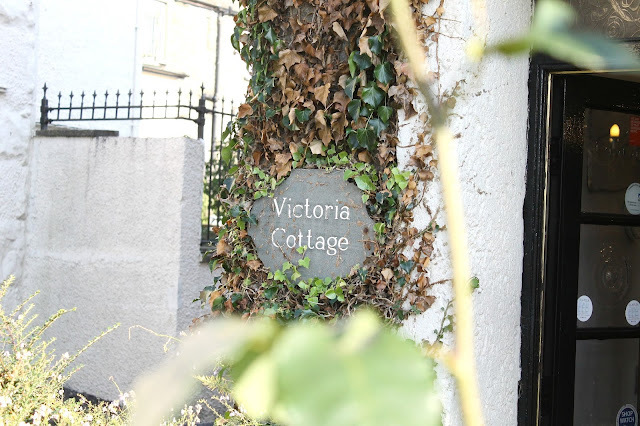 I couldn't resist throwing in this snap of 'Victoria' cottage, very appropriate and definitely giving me goosebumps for tonight's episode of my favourite series! I find it so interesting how houses earn their names and how some are from right back in time, as old as the 'EST' date on the half-timbered facade. Your photography and blog in general is so beautiful! This is such a beautiful post! Where I live the leaves are already turning but it is super slow. I can't wait until full blown autumn/fall! Ahh how cute!! I want to visit the cottage that's all tucked away there with the lamp! It looks so whimsical and pretty there, what lovely houses. Loving your photos as always. I love roses too and I always take pictures of lovely roses when I seen them down the street or when I am walking around the neighborhood with my dog. Love your pictures! I think I've been here before when I was very young, as the name of the place seems so familiar... It's such a beautiful place! I wonder what it'll be like in true winter (if we get any snow this year)? I used to LOVE Beatrix Potter, especially Peter Rabbit! You've made some beautiful and dreamy photos. I love them a lot. Wish I could visit this place too, I would love to take there some pictures too. ps. I adored how you joked about how we may have walked past one another without knowing - I thought the same thing!! This is so beautiful, it's like you've stepped straight into a fairytale! 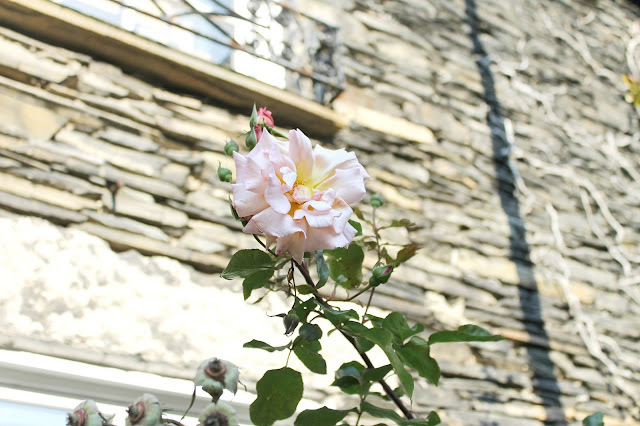 These photos are gorgeous and so picturesque, I love rose! These roses are so beautiful and this little down looks so sweet. Loving the romantic dreamy vibes from these photos. Your pictures are really pretty! This place look so romantic!